Manchester has no shortage of bars. 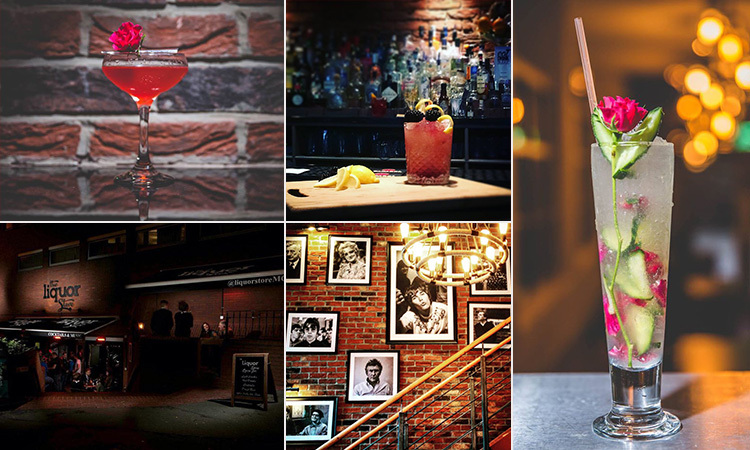 The unofficial ‘Queen of the North’ is brimming with bars and clubs, and Deansgate and its friendly (and even louder) neighbour, Deansgate Locks, are two of the busiest drinking districts. The cocktails are boozy, the bars are busy and the hen party is going to get rowdy. “Stand up beside the fireplace, take that look from off your face” – and get to The Liquor Store. Set just off Deansgate, The Liquor Store is all things Manchester, and Los Angeles… There’s a nod to the American bar culture, with a retro Los Angeles liquor sign taking pride of place on the bare brick walls. However, showcasing the bar’s true roots is the ‘exports wall’. It’s one whole wall dedicated to Manchester’s greatest; Noel and Liam, Morrissey, The Bee Gees, Davy Jones, Ian Brown and Nobby Stiles (even Les Dawson) look over you as you drink, to a backdrop of their best hits. Speaking of drink, this is where The Liquor Store grabs the Grammy (and Best Bar in Manchester at the Eat, Drink, Sleep awards). The cocktail menu is inspired by music and film – you’ve got Papa Don’t Preach, Voodoo Child, Ghostbuster’s Marshmallow Man and the mysterious Tina Turner Died…? 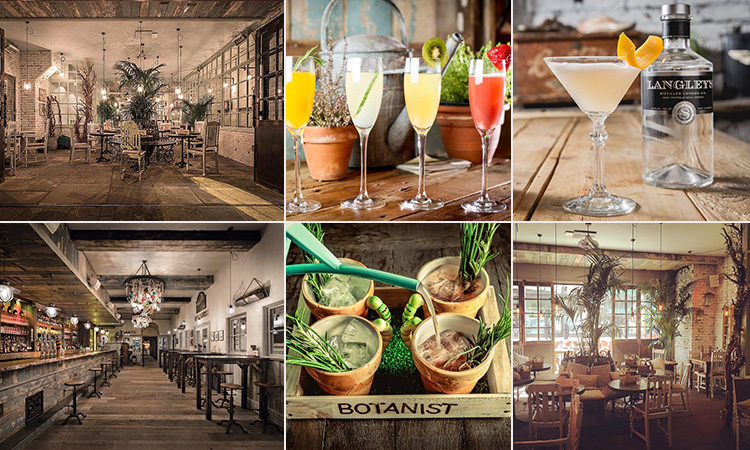 As British as a glass of Pimms on the lawn and Mary Berry’s pinkie – The Botanist is UK born and bred. Based on the charming (and often sarcastic…) English whimsy – this bar is lush and green. The interior is reminiscent of an eccentric’s English country garden, boasting leafy plants, white wood and large branches winding around the windows. It’s a quirky cocktail den of agriculture, booze and food, with the latter served on trowels and in garden boxes. The interior is even reflected in the cocktails, available in cool plant pots, watering cans and the like. The Cucumber and Rosemary Cooler, Berry Good Times and Raspberry Grape and Elderflower Cooler (how very British) are particular hen party favourites. 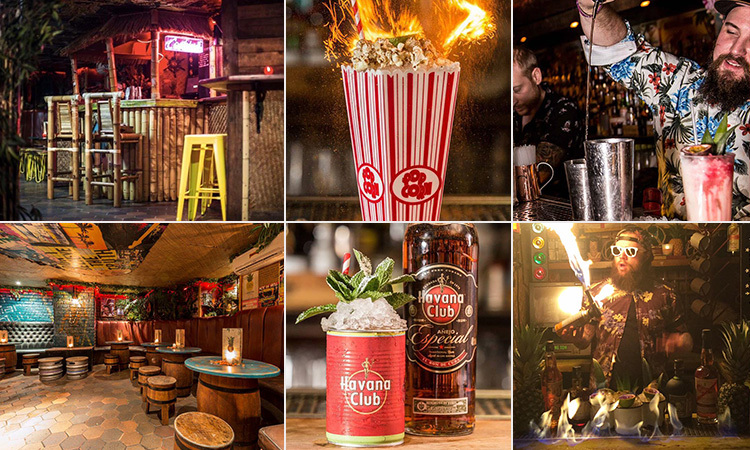 Manchester’s biggest and best tropical hideaway is a hen party paradise (literally). Evoking heady and hedonistic Caribbean nights – a set of stairs transports you to world of sun, sea and copious amounts of rum (the most extensive collection in the whole of the North West, in fact). The bartenders are in Hawaiian-style beach shirts, the cocktails are on fire (Tiki Fire and Zombie, we’re looking at you) and served up in elaborate Tiki volcanoes, pineapples and coconut shells, the soundtrack has everything from reggae, to afro beats, to hip hop, and did we mention some of the cocktails are actually on fire? 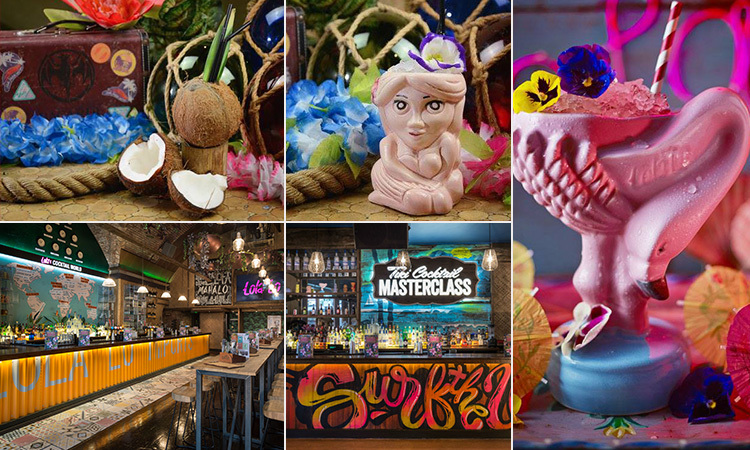 We’re so in awe of this place – with more bamboo-style interior than you can shake a stick at – that we’ve actually got a Tropical Tiki cocktail workshop available for your sun-kissed(?) Manchester hen weekend. You don’t need no map to get here, just follow the canal. 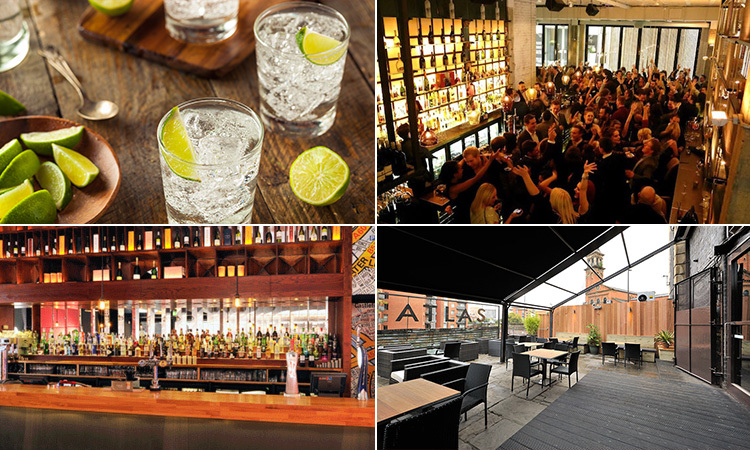 Atlas is an icon on the legendary Deansgate Locks – a trendy, laid-back bar that sits just opposite the water, and boasts the best beer garden in the massive district (it’s even won awards). This is the type of bar that screams summer, with the terrace spilling out onto huge tables, surrounded by exotic plants and stylish shrubbery. 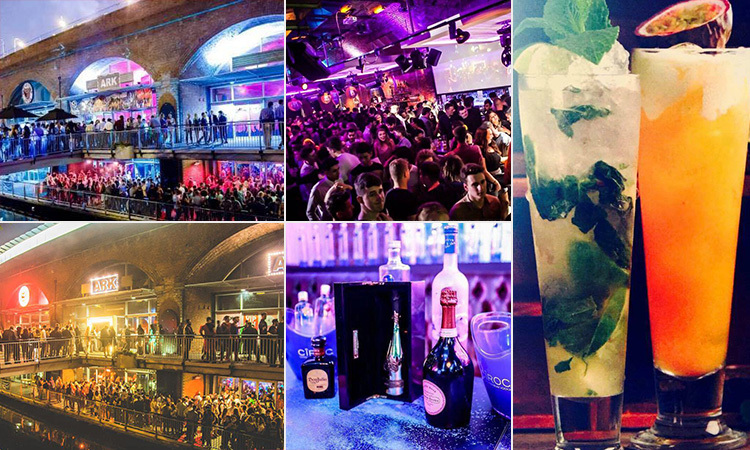 It’s more London than Manchester, and its ethos is gin (and lots of it). The bar has a Gin Library (or Gindex… thank you for the applause), one of the largest in the UK and Europe, with over 350 different bottles to choose from. It’s so in love with gin that it has even started Gin Supper Clubs… our kind of tea. Billed as Your Local on the Lock – Lock 91 is one of Manchester’s hidden gems. It’s tucked away, ironically, on the ‘Locks’, in a 19th century Lock Keepers’ cottage (the word lock means nothing now…). To be expected from a cottage, the bar is a labyrinth of cosy rooms – the bottom floor Lounge and Terrace, the top floor Attic and Study Bar, the vintage Victorian Parlour Room and the rustic and quaint Reception Bar, filled with oak barrels and deep wood. That’s not to mention the canal-side terrace that has a life of its own during the summer. 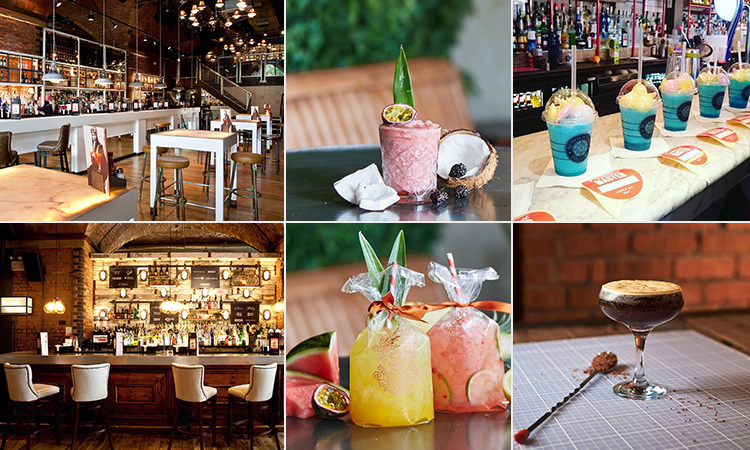 The large classic and homemade cocktail menu unites the three floors – with the likes of the Pornstar Martini and Cosmo, served alongside exciting innovations, such as Lemon Meringue, Ginny Hendricks and Buckwood Fizz. 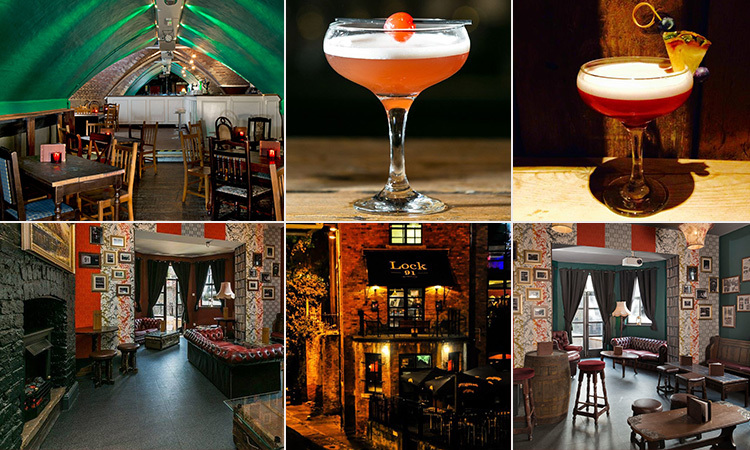 Get lo(w) at Lola Lo. This huge 560 capacity club is Caribbean craziness personified. The Tiki tavern is set over three levels, a lower ground floor, ground floor and a mezzanine. They’re super exotic and styled around a golden beach, featuring bamboo chairs and bars, Hawaiian leis, fruity cocktails (packing an almighty punch, we might add), and even delicious food from their Island Grill area. But, back to the cocktails… the cocktail list includes Aku Aku, in a crazy, statue like vessel, the Flamingo (in a flamingo), the Good Time Girl (hello), the Zombie – the most lethal of them all – and the Ting with a Sting, served in a ceramic fish. After a few of these, you’ll be raiding Lola’s very own fancy dress box and (hopefully) heading out to the terrace for a breath of northern air. Experience the original cocktail revolution. Built into the archways of the Deansgate Locks, Revolution is a part of Manchester. There’s just one word for this bar… massive. It’s got five bars, a dedicated restaurant and a lounge area, tucked amongst the building’s historic features – including the arches and the exposed brick. It has that cool, industrial vibe the city is renowned for, and you can also celebrate the hen do on the terrace (when it is eventually warm up north). The cocktails are the arc de triomphe of Revs, handcrafted and boasting seriously unique flavours; Tattoo-Ti Fruity (served with a side of body art) and Long Icelandic Ice Tea, with the addition of an Icelandic flag, to name but a few. The management accepts no responsibility for lost, damaged or stolen property within the venue. Please use the cloakroom provided. The management reserves the right to refuse admission at all times. Our door policy also applies to private bookings. Guest list to the venue and all functions are subject to meeting the above requirements. PLEASE BE AWARE THAT ALL PERSONS AGED 25 OR UNDER MUST BRING A VALID FORM OF ID TO GAIN ENTRY TO THE VENUE. Come on, ladies – up the ramp, two by two. This stylish canal bar is urban and edgy, one of the most popular on the notorious ‘Locks’ strip. Of course, it has all the necessities for a bar by the canal, including balconies over the water (perfect for that infamous sun), a 300 strong VIP area, club rooms and the best Happy Hour offers this side of the north. It’s more club than bar, evident in its hugely popular club nights – such as S.I.N Sundays and Orderly Conduct – and there’s no better place to end your hen weekend. 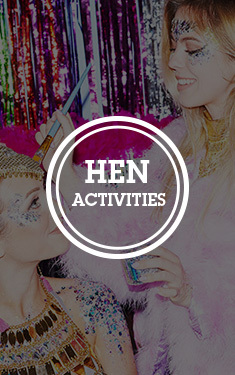 We've got even more info on these clubs, activities and accommodation on our Manchester hen weekends page.